"In some ways, Holy Week is hardly the time I would choose to make the following comments. Still, the matter is so pressing that I feel compelled to address it. Last week I asked for some fairness in the seemingly unappeasable criticism of the Church over the catastrophe of clergy sexual abuse. Not to my surprise, if anything, it has only gotten worse, especially in the interminable headlines about the Pope himself. 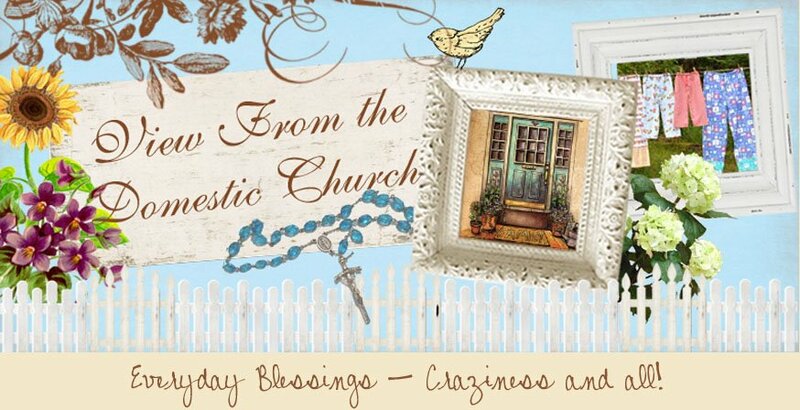 Blessings to all on this the holiest of weeks! I'll try to be back here soon to post some things - one will be about my recent trip to Simsbury, CT to give a retreat day (waiting for a few photos). Our good Lord has been keeping me busy this Lenten season visiting various areas and spreading inspiration by His grace. Whoever visits this blog should also take a look at my blog "Embracing Motherhood" (address in sidebar) and "Daily Donna-Marie" for other messages. 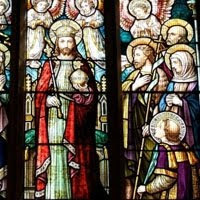 My blog "Moments of Inspiration with your Favorite Saints" will be updated when I get a chance. 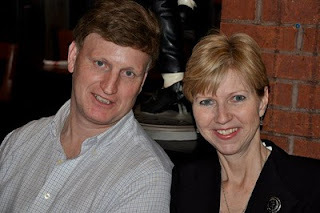 I have a brand new saints' blog at the Goodness Reigns website too. You can check that out here. If you are on Face Book, join me on my fan page and also "friend" me for my other page. I use Face Book for evangelization purposes. I hope I may see you there. Have a beautiful first day of Holy Week! May it be truly BLESSED! 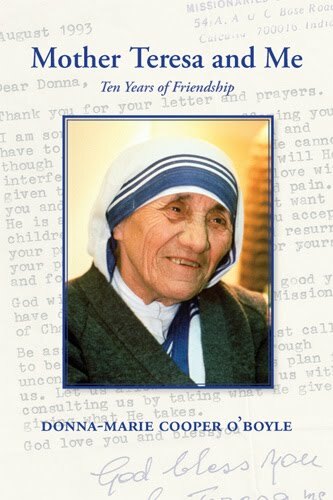 New Review of Mother Teresa and Me: Ten Years of Friendship! Agreeing with Donna-Marie, "there is no such thing as a coincidence." I shared this book with my physical therapist. It was beautiful! God is amazing! Thank you very much, Machell for your lovely review! I am very happy that this book has inspired you to greater holiness. May God bless you and yours! 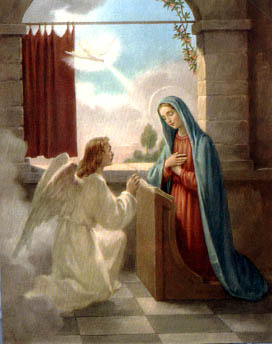 Today is the Solemnity of the Annunciation of the Lord. 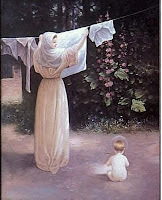 Let's ask our dear Mother Mary for the graces we need. Let's try not to be so busy that we neglect praying our Rosary. 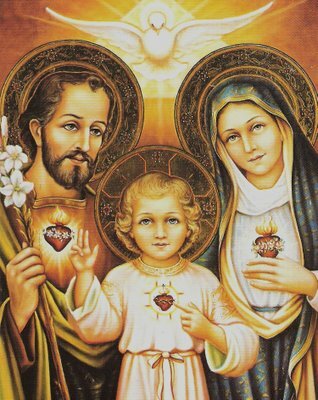 Our Mother is pleased with our Rosaries, even one decade at a time! The beautiful women of St Pius in Kentucky! I have returned from my visit to the women of St. Pius in Edgewood, Kentucky. It was a whirlwind of a trip. I traveled all day on Friday and gave a presentation Friday night and traveled the entire day Saturday to get home. Of course, it was well worth the time and energy! :) The women were so very gracious and just beautifully faith-filled. I really loved meeting each and every one of them. My trip was interesting! I brought my husband along this time. It was the first time he traveled with me on one of my away trips. He generally drives me to my more local events and helps me with my books since I can't lift anything heavy due to injuries from a car accident. So, we arrived at the airport in NYC Friday morning in time to check our bags and would have plenty of time to catch our breath after a long trip to the airport before boarding our plane. BUT...we were told that we couldn't take that flight! It was about one minute after they shut down the flight! It didn't seem right at all - but that's what happened. Airlines over-book their flights all the time these days. I pleaded with the personnel telling them that I was the key note speaker for an event that evening and the next flight would get in much too late. They would not let us on our flight even though it wasn't scheduled to take off for another 45 minutes. You better believe that on the feast of St. Joseph (my hero), I was praying very hard for his intercession for us. So, we had to work with a gentleman there along with a woman who kept checking the computer for all kinds of scenarios to get us there. Nothing worked. We had to take a much later flight that wouldn't get us to the Cincinnati airport until well after I was supposed to begin my talk! And, I would still have to be driven to the parish, find somewhere to freshen up and change my clothes. Like I said, it was interesting. I called ahead and explained the dilemma. The women assured me that they would stall things and all would be fine. After all of that figuring out with the people at the airport, I reached in my purse for something special I had put there before leaving my house and I took it out and told the kind gentleman that had worked with us that I wanted to give him something. He said, "On no, I don't accept money." I said that "this is something better!" I handed him a Rosary I had purchased near the Vatican and had blessed by Pope Benedict when I was in Rome in November. I told him what it was and who had blessed it. He thanked me. The woman by his side said wanted to hold it and he drew it back from her teasingly and said "no" it was his. So, I told her that I had something for her and took out the one Miraculous medal I had in my purse that was blessed by our Holy Father too. She gladly accepted it. So, I don't doubt that our change of flight schedule was all in God's hands allowing this little gift giving to take place. God is always in control! WE LANDED A WHOLE HOUR BEFORE SCHEDULED TO LAND! 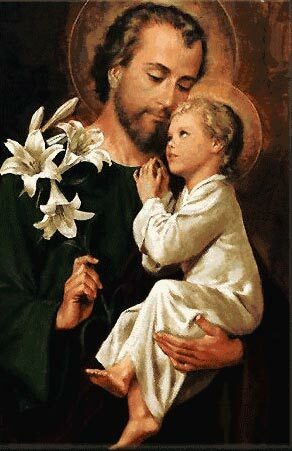 REMEMBER I WAS ASKING ST. JOSEPH TO INTERCEDE. NO ONE COULD BELIEVE IT! A MAN SITTING BESIDE US LEANED UP AND ASKED THE FLIGHT ATTENDANT HOW THAT COULD BE POSSIBLE BECAUSE HE HAD NEVER LANDED A FULL HOUR EARLY. SHE SAID "I GUESS WE WERE REAL LUCKY!" I TURNED TO MY HUSBAND AND SAID "SAINT JOSEPH!!!" I called the woman who would pick us up at the airport to alert her about the earlier schedule and she was so surprised. We arrived in Cincinnati and were picked up by the very nice woman who got us to the parish in Kentucky. The festivities there for the evening event had begun and the women in charge had wisely stalled off my presentation a bit by getting the attendees involved in other things. I then fit in a very quick visit to Jesus in the Blessed Sacrament nearby as one of the women in charge was already introducing me to the women seated in the hall. So, with another quick prayer, off I went and walked in the door and up the aisle of the long room, through the crowd of women to reach the podium. A quick breath and "Hello! It's wonderful to be here! 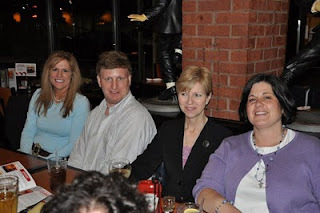 Let's pray a Hail Mary together..."
After my talk, I did a book signing (still have to get those photos) and met most of the almost 200 women gathered together that night. Afterwards, as exhausted as I was, I went out with a group of them to finally have something to eat and enjoy some wonderful faith-sharing. 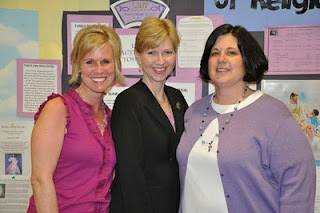 Thank you women of St. Pius and visiting women for your very kind hospitality. You are in my prayers! It was so lovely to meet all of you! for me to be granted the graces that I need most. trusting in God’s divine providence for me. 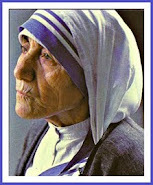 St.
NEW YORK, MARCH 18, 2010 (Zenit.org).- Mother Teresa encouraged working with the poor not only in the slums of India, but primarily in our own families, says the author of a new book about the nun. 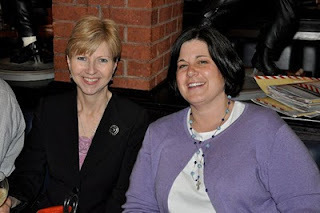 Donna-Marie Cooper O'Boyle is the author of the recently published "Mother Teresa and Me: Ten Years of Friendship." She spoke with ZENIT about her experiences with Mother Teresa, now recognized as Blessed Teresa of Calcutta, and the ways in which the nun taught the Missionaries of Charity, the congregation she founded, and others to love Christ in the poor. Mother Teresa encouraged O'Boyle, a wife and mother, to live her vocation well and to help other families thrive. 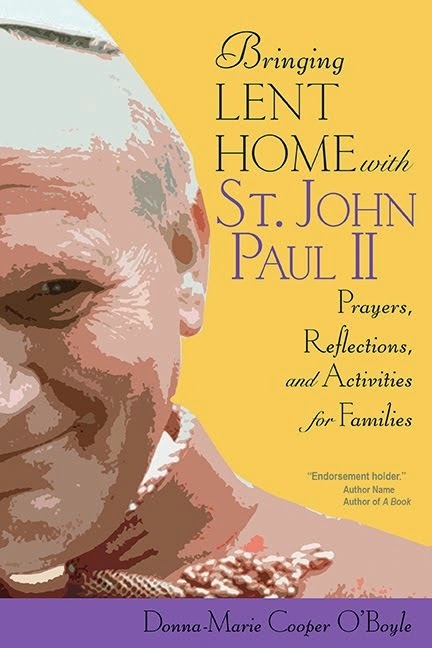 Over the years, the author has also written other books with this goal, including "The Heart of Motherhood: Finding Holiness in the Catholic Home," "The Domestic Church: Room By Room," and "Grace Cafe: Serving Up Recipes for Faithful Mothering." As well, she is a host for Eternal Word Television Network, and will soon be premiering a new series, "Everyday Blessings for Catholic Moms." 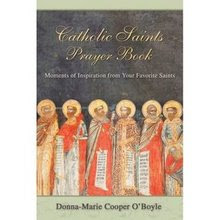 O'Boyle has written for several newspapers and magazines, and maintains various personal blogs, including a new saints' Web site for youth. In this interview with ZENIT, she spoke about the holiness of Mother Teresa, and the ways in which her teachings can be implemented in families today. ZENIT: In one point in your book, you talk about Mother Teresa's unshakeable faith coupled with a feisty attitude; in another part you mention that she was called extraordinarily ordinary. Yet you also say that you have no doubt about Mother Teresa's eventual canonization. What makes you so certain? How does the normality of your relationship affect your belief that she is a saint? 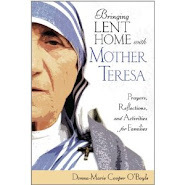 O'Boyle: My relationship with Mother Teresa was certainly normal but I feel that it was extraordinary as well because I never had a doubt that I was visiting and corresponding with a living saint. I saw great holiness in everything about Mother Teresa -- in her speech, her posture, her demeanor, the "glow' about her that radiated Christ's love, peace, and joy. I knew that she truly lived the Gospel of Matthew: "Whatever you do to the least of these that are in my family, you do to me." Take a look at my brand new saints' blog on the Goodness Reigns website for youth by clicking here. Women are strong! Women are faithful! "Which stands up better in a crisis - man or woman? The best way to arrive at a conclusion is to go to the greatest crises the world ever faced, namely the CRUCIFIXION OF OUR DIVINE LORD. When we come to this great drama of Calvary there is one fact that stands out very clearly: Men failed. On the other hand, there is not a single instance of a woman's failing him." Can we pray to be as faithful as the women who stood by our dear Lord Jesus? We have to be! We need to pray for a increase in faith, hope, and love EVERY DAY! Faithful women can be an awesome example to others and help to bring them closer to Our Lord. 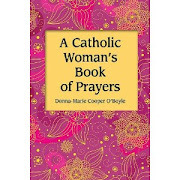 Donna-Marie Cooper O'Boyle is a Catholic wife, mother of five, author, speaker, and Lay Missionary of Charity. Inspired by the idea that pregnancy spans nine months, Donna Marie created a guide to using this period of time for a novena of prayers and reflection on the blessing of new life. This reflective journal helps you pray through your pregnancy, using beautiful meditations on all the mysteries of the Rosary and asking the intercession of Saint Anne and Saint Gerard Majella in particular. Interspersed with these prayers are descriptions of the baby's development and quotes from wonderful models of love such as Blessed Mother Teresa of Calcutta (a personal friend of Donna-Marie's). These nuggets of wisdom will deepen your appreciation for the incredible dignity of life. As I pray through this book, I am so grateful for the peace I am finding. It can be difficult to simply appreciate pregnancy. After all, everything about a pregnancy is oriented towards its conclusion. We can't help but ponder names, prepare for labor, and dream about cuddling a new baby. These thoughts can be fun, but they can also prevent us from enjoying the experience of pregnancy itself. 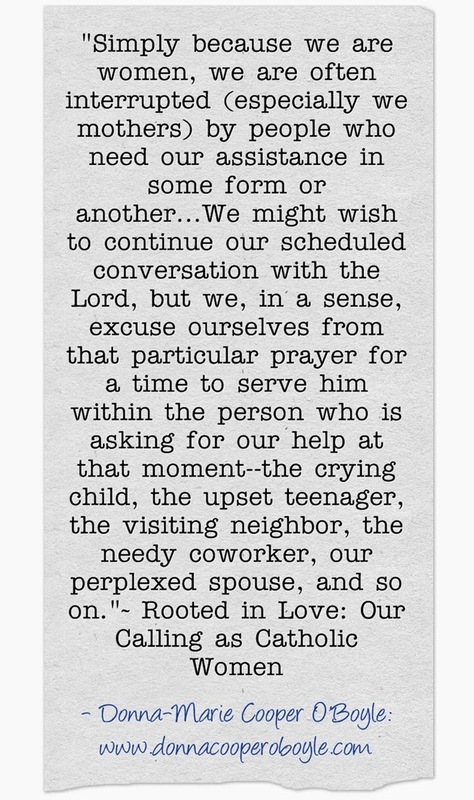 Prayerfully Expecting helps us slow down and find God in the process and not just the product. 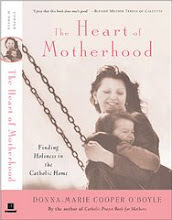 It offers a window into how God sees pregnancy- as a gift of self and an act of love. SOUTH END -- A sellout crowd of women, estimated at about 2,000, from parishes across the Archdiocese of Boston gathered for spiritual renewal and solidarity at the 5th annual Boston Catholic Women’s Conference at the Cathedral of the Holy Cross Feb. 27. Annamarie Monks, a parishioner at St. Mary Parish in Mansfield, attended her first conference this year. Monks recalled her father who recently passed away. She said he was a staunch Catholic whose faith inspired him to be active in the 1960s civil rights movement. “I feel like I was honoring him too by being here today,” she said. The all-day event included four speakers, confession, adoration, praise and worship music, a chance to meet with exhibitors in the adjacent Cathedral High School gymnasium, and Mass with Cardinal Seán P. O’Malley. Saturday’s first speaker was Leah Darrow, a former participant in the television show “America’s Next Top Model,” who spoke of her Catholic upbringing, modeling career, and return to Christ. 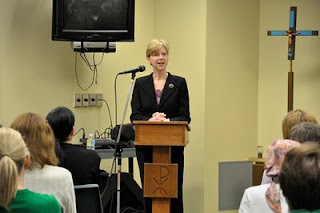 Darrow was followed by Patti Mansfield, a Catholic author who has also participated in Catholic Charismatic Renewal, who spoke about the role of Mary in the lives of today’s Catholic women. After lunch, noted Catholic author Donna-Marie Cooper O’Boyle spoke to participants about how they can share their faith with others, using the example of Mother Teresa. The speakers’ portion of the program was rounded out by Sister Olga Yaqob, an archdiocesan hermit and chaplain at Boston University, who spoke of her journey from Iraq to becoming a nun in the United States. Saturday’s program concluded with a 4:00 p.m. Mass. 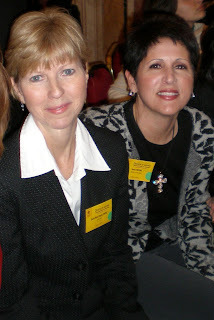 “The conference provides an opportunity for women all over the archdiocese to come together in a community of women and be nurtured in their faith and grow closer to God and one another,” said Jennifer Schiller, a member of the conference’s leadership team and master of ceremonies for each of its five years of existence. Schiller said that the theme was appropriate this year because of the challenging economic and cultural times that mark today’s society. She said St. Paul wrote those words while in a Roman prison. The article in the Catholic Pilot newspaper is continued here. We are making our way through our Lenten days. I've been busy with travel and speaking events which I have been posting. Last week end was the Boston Catholic Women's Conference - a grace-filled conference for over 2,000 women to come together for some wonderful faith sharing and Catholic camaraderie. The week end prior to that I was among some beautiful faith-filled women when I gave a retreat day to them in New Jersey. No time to catch my breath as I plow though much work on my desk, appointments and projects. But then again, there's no rest for the weary, right? Well, our good Lord gives us plenty of strength to do all we need to do. There are a couple of other big events for me coming up this month which I am looking forward to. Meanwhile, I am working on some wonderful things for all of you. 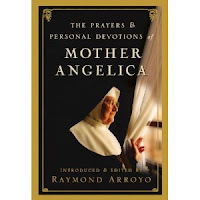 I recently enjoyed a phone meeting speaking with Raymond Arroyo about his newly released book about Mother Angelica titled: The Prayers & Personal Devotions of Mother Angelica that just hit the book stores on Tuesday. 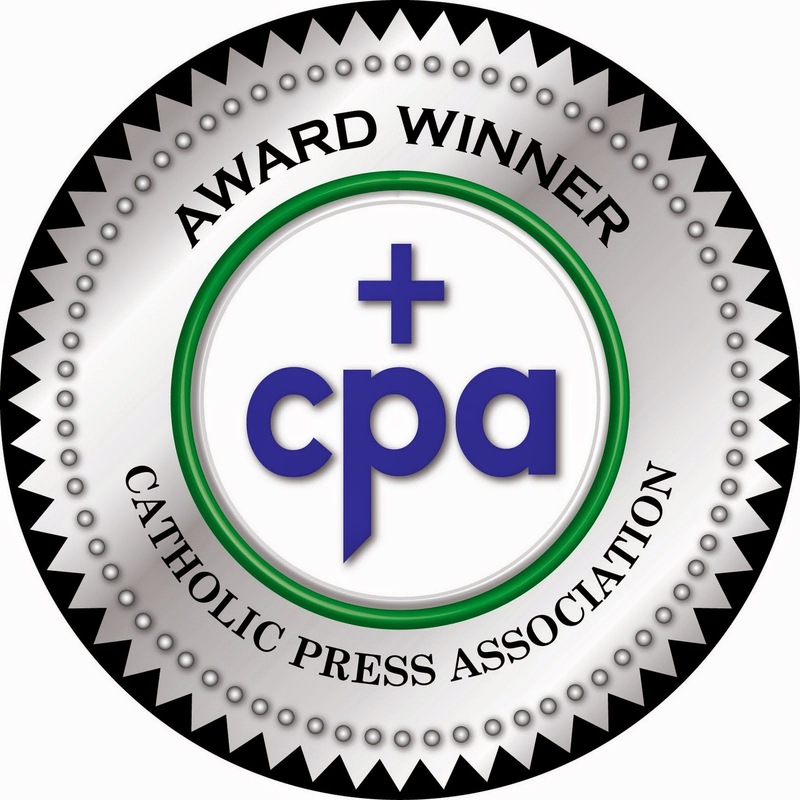 You'll see my "Book Pick" review in the National Catholic Register in the near future, as well as a review at Catholic Exchange and other places too. I am working on a couple of book projects which are very exciting. I'll fill you in when I can. I'm thinking that I will post little excerpts from my key note speech here for a little inspiration for the journey. My talk title was "Taking Our Faith to the Streets: Mother Teresa's Lessons of Love." I hope to post a photo at some point from the Boston event of Cardinal Sean O'Malley and me when I get it from the photographer. That's it for now. God bless and hugs!